Terry Porter, who has extensive hotel branding experience in the western U.S., was recently elected chairman of the board of Phoenix-based Best Western Hotels & Resorts for 2016. "This is an incredible time to serve as board chairman, and I am humbled to have the opportunity," Porter said. "As we celebrate our 70th birthday this year, the board will remain focused on enhancing our brand, delivering exceptional service to our guests and driving more revenue to our hoteliers." Porter was elected Best Western’s board in November 2013 to oversee Arizona and seven additional western states. Porter previously promoted hotel destinations in Utah, particularly in the Bryce Canyon National Park region. 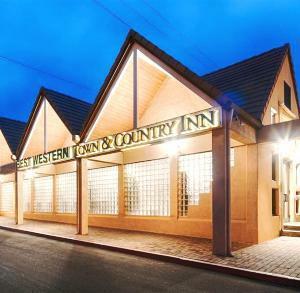 Porter has been an owner and operator of Utah’s Best Western PLUS Town & Country Inn in Cedar City since 1989. "Mr. Porter brings tremendous passion, integrity and dedication to the role of board chairman," Best Western President and CEO David Kong said. "He has more than three decades of experience with our brand, and I have no doubt he will guide us through what will be an extraordinary year ahead. With our monumental brand refresh, continued roll-out of our new global digital platform and exciting new offerings for today's travelers, 2016 promises to be a year to remember for Best Western." From its headquarters in Phoenix, the award-winning Best Western Hotels & Resorts, founded in 1946, provides operational, sales and marketing support to its network of more than 4,100 hotels worldwide. Want to get notified whenever we write about Best Western Hotels and Resorts ? Sign-up Next time we write about Best Western Hotels and Resorts, we'll email you a link to the story. You may edit your settings or unsubscribe at any time.